All good things must come to an end. 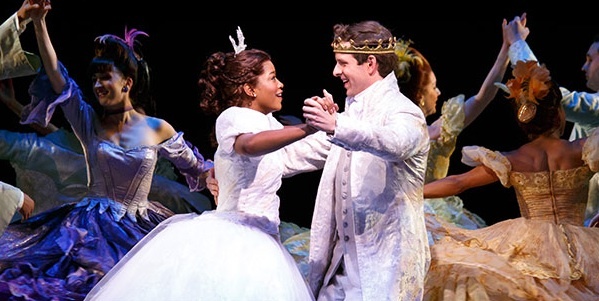 On January 3, Cinderella will have her last dance at the ball and wave goodbye to Broadway. The holidays may be coming to a close, but I’d like to take a brief moment to reminisce about one of my family’s favorite holiday activities. Three generations of my household have always looked forward to watching one movie around the holidays. 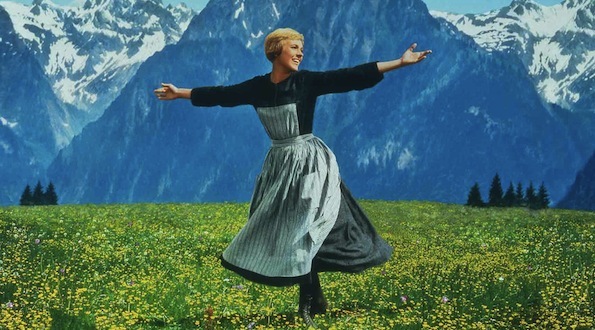 It’s The Sound of Music. Nearly all of us have the movie on Blu-ray or DVD. But we still tune in to watch it on TV. The movie never changes, even though the commercial breaks just seem to get longer and longer. In just a few weeks, the New York Botanical Garden Holiday Train Show will come to a close. However, the show is wrapping up in a big way for the New Year. 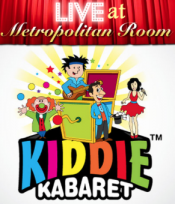 Starting on January 3, Thomas the Train and Driver Sam will be appearing to give kids a live performance. If you haven’t had a chance to catch the “All Aboard with Thomas & Friends” live show, this is a great opportunity to bring your kids out a get a sample of the performance. The mini show is a sing-a-long adventure and party. 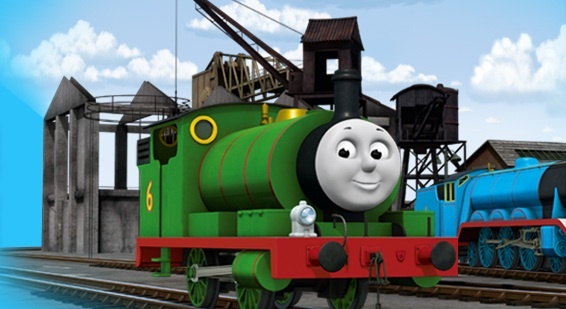 Kids will help Thomas the Tank and Driver Sam decorate the station for the Sodor surprise party. There will also be opportunities to take photos with Thomas. The show runs through Jan 25. January typically means three things: a New Year, back to school and back to work. However, in NYC, January also means it is time for Kids Night Out on Broadway. Between January 9 and 15, kids and teens can see several Broadway shows for free with the purchase of a full-priced adult ticket. This is a great way to start off the New Year and take your family out to the theater with a hefty discount. Happy 2015! We wanted to take this time to thank all of the igokids readers for your support throughout the year. It’s been a great journey and we look forward to sharing more great events, news and family opportunities with our community in 2015. The holiday season may be coming to a close, along with school vacations, but there are still a few holiday-themed shows and performances to check out as we kick off the New Year. Wishing all of our community members, readers and your families a wonderful and Happy New Year from everyone at igokids.com! This weekend is filled with lights, shows and men in tights? Yes, the internationally adored Trocks, the all-male troupe who risk comfort for brilliant pointe work are performing classics at the Joyce Theater on Saturday and Sunday. It's the last weekend to catch The Grinch Who Stole Christmas! 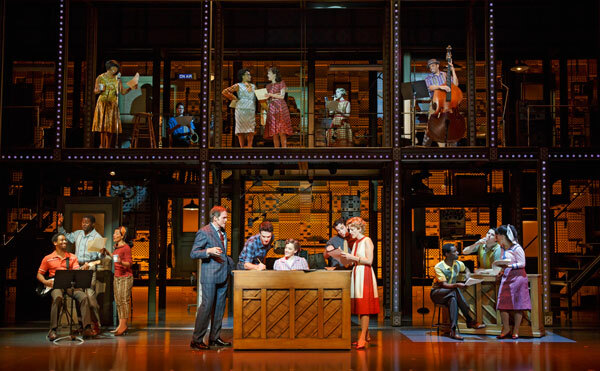 The Musical at the Madison Square Garden Theater. You can also see Fancy Nancy is her very own Christmas special or see the Little Orchestra's Society's Peter and the Wolf. Be sure to also boogie in Brooklyn, see some holiday lights, and start getting ready to end the year. Here are this weekend's picks. Happy Chanukah, Merry Christmas and Happy Kwanzaa! These three holiday festivals converge into one joyous week of celebration. December 24 is a big day. It’s the last day of Chanukah and also your last chance to catch Santa at Macy’s, Bloomingdales and other locations before he ventures off on his round-the-world trip. This week is all about family togetherness and celebrating culture. We’ve picked out a few activities that may help add a little variety to your holiday plans. This weekend warms the heart and brings musical fun to all. There is the Charlie Brown Christmas film classic with accompanying live music at the Metropolitan Museum of Art. 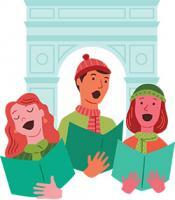 Taking place in Brooklyn, Queens and Manhattan are three live caroling events for you to participate in. On Saturday, Father Goose is performing at Symphony Space with his unique, high-energy mix of hip-hop, calypso, and reggae. On Sunday you can watch the classic tale "It's A Wonderful Life" on the big screen with caroling and an audience sing-along to start the fun. Here are this weekend's picks. “It’s beginning to look a lot like Christmas” takes on a whole new meaning when it comes to ice-skating in New York City. The number of places to skate greatly increases, as temporary ice surfaces pop up in many public parks. There is something special about taking advantage of these outdoor rinks during the holiday season. Luckily, many of them are open until after the holiday tourist traffic thins out, so you and your family can get some time on the ice without having to fight the crowds. Happy Chanukah! This week begins the celebration of Chanukah. It’s also the last full week of shopping before Christmas. That’s right. The holiday rush is on. Just don’t forget to take a moment to enjoy a few shows and holiday workshops around the city. Here are our picks for the week ahead. Chanukah, Hanukkah or however you spell it! This holiday is almost here and there are some fun events at the 92nd Street Y, Sutton Place Synagogue, Temple Israel and The Museum of Jewish Heritage to celebrate the holiday with stories, songs and fun for all. Also taking place it the 41st anniversary of TubaChristmas at Rockefeller Center. Come hear the tubas toot out holiday classics. And sadly Brooklyn's fun family spot The Moxie Spot is closing. They are having a goodbye party with plenty of singing, dancing and they are going out with a bang. Cookies, trains, concerts and more round out this weekend's fun. Here are this weekend's picks. Nothing says Christmas like New York City and toy trains. 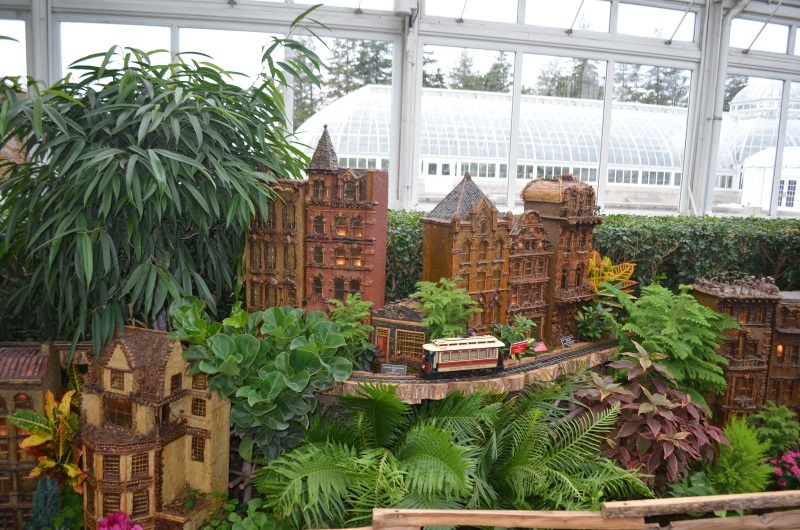 The New York Botanical Gardens is currently hosting their annual Holiday Train Show, where various model trains inhabit a garden-inspired replication of New York City. 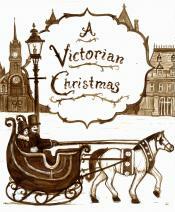 December is one of the most joyous and hectic months of the year. Families are scrambling around to get their holiday shopping complete, while Scrooges are trying to cram in as much work as possible before the end of the year. Remember to take a moment to step away from the ruckus, breath and enjoy family and friends. We’ve picked out a few activities to help remind you that the holidays, among other things, are about togetherness. This week’s picks are filled with music, dance, laughter and even a made-up word. Here’s the week ahead. This weekend is all about decorating and prepping for the holiday season and visits with the big guy himself. He has to prep too, so be sure to tell him what you want at the Christmas Party in Washington Market Park, Christmas in Richmond Town, and St. Nicholas Day at the Vander Ende-Onderdonk House. You can also literally help Santa out, help him get rescued at the New York City Fire Museum this Sunday. Shop and swap for gifts at the Little Swappies family swap event and make a beautiful wreath at the Queens County Farm Museum. And after all of this work and fun this weekend grab a hot chocolate and relax before the wrapping storm begins. Here are this weekend's picks. Finding non-holiday related activities in city during December can be quite a challenge. 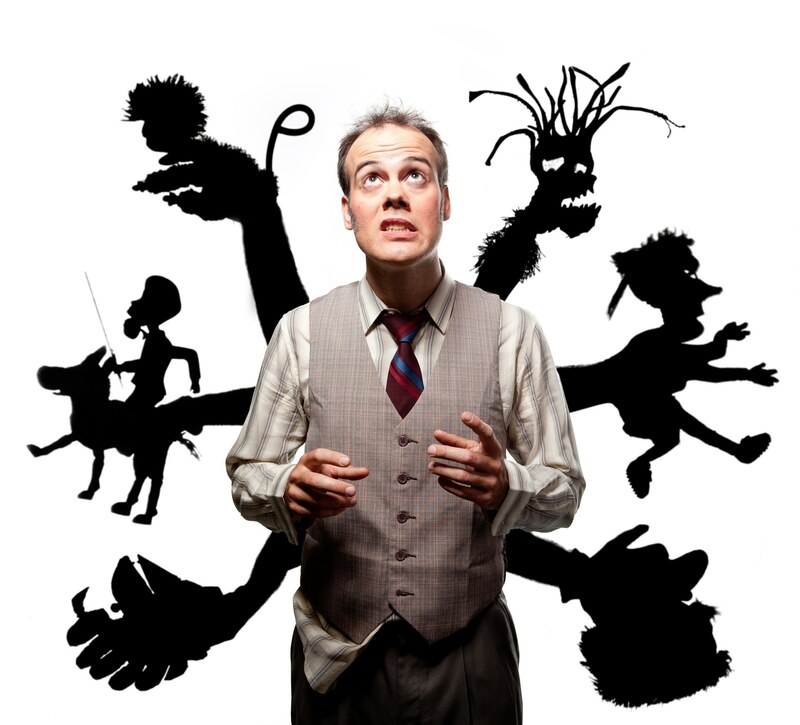 Hidden among all of the Christmas Carol remounts and Nutcrackers, you will find Swamp Juice, a joyfully hectic shadow puppet show at the Barrow Street Theatre. Every year around the holidays, different venues show off massive train exhibits. It’s a tradition that goes back decades. Kids’ eyes light up when they see cool, vintage locomotives. 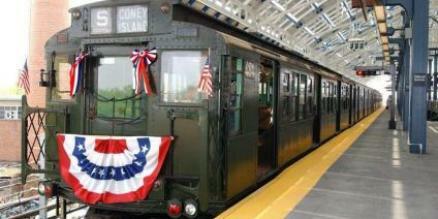 Two of our favorite holiday train exhibits are at the New York Botanical Garden and Grand Central Terminal. Happy December! Now that you’ve finished your Black Friday shopping, and are knee deep in Cyber Monday deals, it’s time to celebrate the last month of 2014. The first week of December is filled with holiday performances, tree lighting celebrations, music, food fairs and family. We’ve selected several fun activities to start your December off with extra cheer. Check out our picks for the week ahead.